The Thunderbird Athletic Department has announced that the 2018 home football season resulted in a new single-season ticket revenue record for the university. For the fifth-straight season, the football program experienced a new high for season ticket revenue, and this year’s number was seven percent higher than the mark reached during the 2017 Big Sky Conference Championship run. 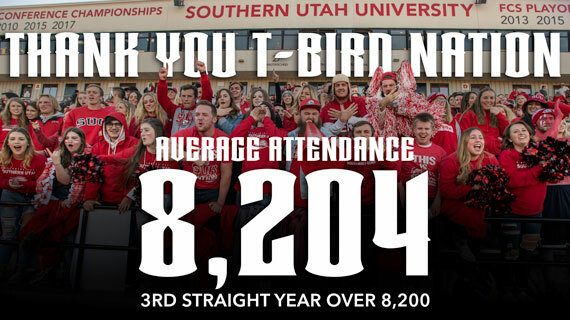 And for the third-straight season there was an average attendance over 8,200 fans inside Eccles Coliseum at each home game. This year’s final attendance mark weighed in at 8,204.